Vornado isn’t only a brand name, it is also a type of fan that has and still is a game changer within the industry. 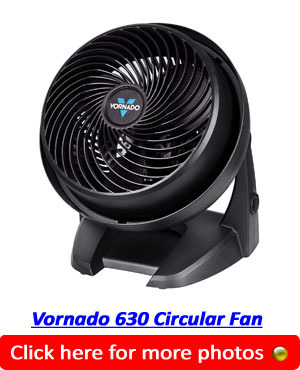 Vornado fans are different from other models in the market as they come built with nylon blades for strength. The nylon blades of these fans make them much safer and stronger when compared to other models on the market. Aside from being safer than traditional electric fans, Vornado equips their appliances with a special motor that is low maintenance due to the fact that it is permanently lubricated. Since these large room fans are unique amongst other models on the market, they also need special attention when being cleaned. This is your ultimate guide on how to clean your Vornado fan! How Did The Vornado Fan Come About? Vornado was started way back in the 1940’s but the company’s history can be traced back all the way back to the 1920’s when Ralph K. Odor (one of company founders) started to experiment with different designs to improve aeroplane propellers. A decade after Odor started designing aeroplane propellers, he met Otis A. Sutton who like Odor was engaged in the development of propellers. Not long after they met, the two men collaborated and experimented with different propeller designs. The collaboration of the two men ended up in the formulation of several propeller designs and patents that were used to create better aircraft. By the 1940’s the two had realized that their propeller designs could also be used for household electric fans. The two men decided to start a company that manufactured home fans but could not due to the fact that the second world war was ongoing. As soon as the second world war ended, the two founded the OA Sutton Corporation and since then, the rest is history. Their vintage style fan was born. How To Clean A Vornado Fan? Due to the fact that the fan moves a large amount of air, it will need regular cleaning to remove dust and other kinds of debris that may accumulate over time and destroy the blades and motor. 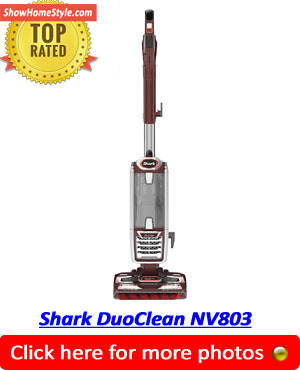 Since these appliances are a speciality product that is unique to the market, it is most important that we keep in mind that you should not clean a Vornado fan like how you clean conventional models. There are certain steps that should be taken when cleaning it to avoid damaging or even breaking it. Like all electrical appliances, the first thing that should done when cleaning is to unplug it from the power outlet. Safety should always be a top priority and unplugging completely eliminates the risk of electric shock, fire, and bodily harm. Make sure that you have a clean and open space where you can properly work at the device. An office desk or kitchen table is the best option for this. Using a small handheld vacuum cleaner or a feather duster, rid the blades of dust and debris that has accumulated over time. Make sure to properly remove the dust even in hard-to-reach places like crevices. After using your vacuum cleaner or feather duster to remove the dust and debris from the blades and outer casing, wipe away any remaining dirt using a soft piece of cloth. Before wiping any surfaces, make sure to slightly dampen the cloth to make sure that virtually all grime is eliminated. Lastly, after wiping with the damp cloth, get a dry piece of cloth and gently wipe over everything to dry it again. It is important to note that the instructions I have listed above are only for the general cleaning. If you need to clean the specific components, please take note of these below steps. All you’ll need for cleaning these parts is a common household vacuum. Make sure not to use water to clean these parts as they were not designed to get wet. Before cleaning the grill, remove it. After removing the grill, you may dust it or you may wash it with some dishwashing soap. Never place the grill in the dishwasher as the heat may cause the plastic material to warp. Simply clean the blade like you cleaned the grill. If possible, don’t wet the blade at all and just wipe it with a damp cloth. Wipe the base with a damp cloth and dry it.